Let’s eat right and save money too! When we were first changing over from processed foods and white flour/white sugar products, I was so discouraged at first when I saw the costs of healthier foods. I used to have so much fun shopping with coupons and finding good deals at the store. Now, it seemed, I would need to throw all my coupons away and maybe stop wearing shoes or paying the heat bill so that we could afford groceries. Healthy food seemed to cost twice or three times as much as I was used to paying! A few tears and several months of research later, I found that while yes, some foods were just going to cost us more money (since they contained real food ingredients instead of cheap high fructose corn syrup and the like) – there were many ways to keep our food budget reasonable. God knew my desires and blessed us with resources. He always provides – no matter where you live and what your circumstances. My coupon clipping hobby has been replaced by a new healthier, money saving hobby: Figuring out recipes for healthy meals and snacks that can be made at low cost. Seeking local sources of food that are reasonably priced, nourishing, and support our hard working neighbors and farmers. Finding deals online that are delivered right to my door – saving me gas money, time, effort, and energy. I also had to recognize that the extra I am spending in food is money I’m often saving on health care costs – even if I don’t see the difference right away. Want to learn to make real food meals and snacks that are low in cost? My website is full of them. Want to find local sources of food that fit your budget? Keep your ears open, ask questions of those around you, and check out LocalHarvest.org to see what is available in your area. Want to find some online deals so healthy foods can be delivered to your door? I’ll continue to share them in blog posts as I find them (often!). What’s fun is that online stores offer sales and sometimes even coupons too! Free shipping is my friend, so I’ve learned ways to make this happen for online grocery purchases. You really can’t beat the ease of having healthy food delivered (for free!) to your door. In addition, I use Swagbucks, which I redeem for Amazon gift cards. This means I can take advantage of all the great deals I find at Amazon, plus use a gift card to get the food for free or partially free! Learn more about Swagbucks here. I live in a small town, so my grocery options are not very competitive. But I have a Walmart in town that price-matches all the grocery stores an hour away from me in big cities! Taking the time to Price-Match has saved us thousands! 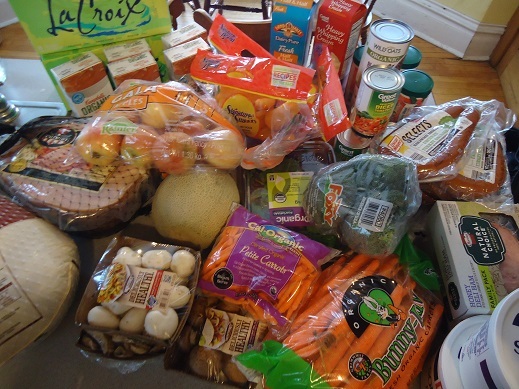 I price match the good deals on fruits and vegetables each week and we load up. 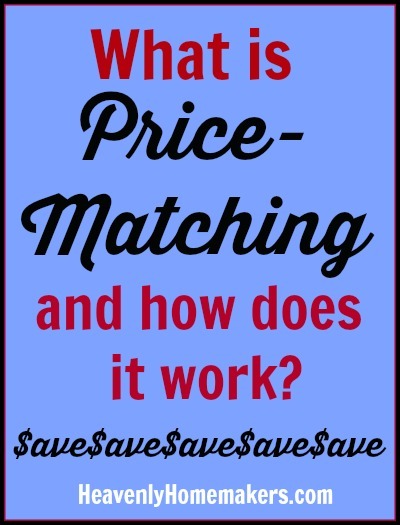 Read more about price-matching here. I’ve found Pricematerz.com to be a fantastic resource to make the list-making easier. Vitacost runs great sales, so I’ve learned to check their site frequently and stock up depending on the sale prices. If you’re a brand new customer with Vitacost, if you sign up through this referral link, you’ll receive an automatic $10 of credit to spend on your first $30 order. If you buy at least $25 worth of Vitacost brand products, you’ll receive free shipping. 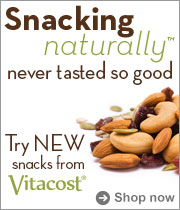 Or, if you don’t want any Vitacost brand items, you’ll receive free shipping once you hit $49. Sign up through this referral link to receive a $10 coupon code through your email. This totals $35.80 of Vitacost Brand Products. Use your referral code to receive $10 off your order. Because you still have $25 worth of Vitacost products in your cart, shipping will be free for all of those great groceries! Once you are a customer with Vitacost, you can then refer your friends through your blog, email, facebook or twitter, and receive $10 of credit for each new customer who makes a purchase through your link! This is a wonderful way to earn some extra healthy grocery cash! Vitacost also carries many gluten free items. Have you ever shopped at iHerb? If so, you know how many great products they carry. If you’re a brand new customer, that means you get $10 off your first order of $40! Grand total for this cart full of real food is $40.15. If you are a new customer, you can use my referral code: BID487 to receive $10 off your $40+ order. That means you get all that food I mentioned – or whatever you choose to put into your cart, for just a little over $30! Shipping is free on any order over $20. Doesn’t that list look like fun? Think of all you can make! iHerb also carries a lot of gluten free products. The quality of Tropical Traditions food (and health and beauty) products is incredible. They offer free shipping every few weeks. This, coupled with their buy-one-get-one-free deals is wonderful. 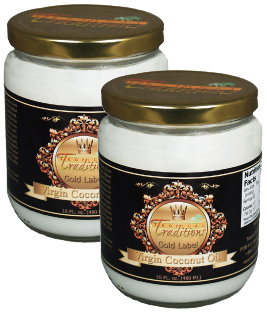 I just posted about a great coconut oil deal with free shipping. Did you take advantage of that yet? Don’t be discouraged as you learn new ways of purchasing food. Instead, look at it as an adventure! Have fun finding new sources for real food products. I’ll do my best to continue to make it easy for you! Want to learn all the best ways to save money? You’ll definitely want to be a part of our Homemaker’s Savings Club! Not only do we start out by giving you a free cookbook full of our favorite low cost, real food recipes – we keep you updated with the best homemaking freebies and sale prices each week. People have saved big bucks being a part of this, not to mention time since we do all the hard work for you weeding out the so-so deals and finding all the best to tell you about!! Another great website for finding local pastured and grass fed meats, dairy and eggs is eatwild.com. There is a link to “Shop for Local Grassfed Meat, Eggs & Dairy” in the upper left corner, which takes you to a map where you can click on your state. Then you see a long list of all the wonderful small, local farms in your state that sell real food. I love Tropical Traditions free shipping days. I stock up on Bionaturae tomato products (haven’t been successful with tomatoes in the garden yet), and several other items. I haven’t checked out iHerb yet, but I definitely will soon. Thank you for this post! I live an hour from town and love free shipping! I’ve been shopping at all the places you mentioned except iherb.com. I’ve never heard of them before and excited to try them since I am out of rapunzel sugar and haven’t been able to find any at a good price. Thanks for all you do! These are all great shopping ideas that you mentioned for whole food. I use each one of these. Another way to save money is that since you are eating real foods that are balanced in fat and nutrients (hopefully) that you won’t need to snack. No blood sugar crash after just one hour and lots of water each hour makes a difference too but you already mentioned that one too. Hi there. Thanks for all the good ideas and advice. I truly enjoy your writing and the great spirit of caring for the environment and eating healthy whole foods as God wanted us to do in first place. On the Amazon shopping advice you shared, I seem to have hard time to find good deals on Amazon, especially on bulk organic foods. For example when you look to buy walnuts or pistachios on Amazon, the pound comes to be more than $15, when I can buy it cheaper at the local food co-op. You mentioned a farm in California that grow pistachios, but not sure what they charge for it, but Costco is also becoming a good source of some organic and healthy foods, although 90% of their foods are pure junk from mass production factories and China.